The seven “essays” by J.R.R. Tolkien assembled in this paperback edition were with one exception delivered as general lectures on particular occasions. 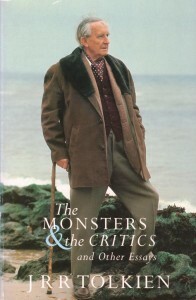 First edition thus 1997, HarperCollins, ISBN 0 261 10263 X, 240 pages, 13 x 19,5 cm.